We wish you Happy Diwali and Happy New Year to all reader of moneyexcel. 2013 was indeed good year in terms of money. With starting of New Year we are herewith 20 Money saving habit you should adopt for 2014. Stop Purchasing Items which are not required by you. Always look for Discount or offer while doing shopping. Control your emotion and never do impulse buying. Don’t purchase an item because it is cheap or available at discounted rates. Inquire about pricing at 4 to 5 place before buying. Save money while buying cloths/electronics in off season. Avoid eating outside in hotel or reduce frequency of eating outside in hotel. 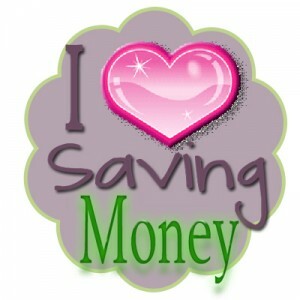 If you are purchasing item online look for coupon or promotion code to save money. For purchasing movie ticket use master or visa card to buy 1 ticket and get 1 free. Try to pay your bill online to save fuel and time. Maintain your car/vehicle to save fuel (money). Don’t buy any computer software unless you need it. You may get similar software on internet free of cost. Health is wealth maintain your health. Stay fit and save unexpected medical expenses. Read local news paper online to save money. When you receive some gift and you are sure that you will not use it re-gift it or sale it on classified site. Try to shop at super market like dmart, reliance, bigbazzar where you purchase things at much cheaper rate. If you are using long distance call extensively try to use free online software skype to save cost. For sending free SMS you can use online websites. Make sure you never use a credit card unless you plan to pay off the entire balance each month. If you owe money on any card, cut it up and throw it away. Hope tips given above will help you to save more money. Do share your views suggestion in comment section given below. Sir I am new in this share market. 75% amount I invest in market is on 2.5% interest from private finance. Today I am in loss. Sir please advice me what time will take this share recovered. Sir I am waiting for your supportable replay. Stock market investment are always risky.You need to wait till it recovers and give you suitable profit.Recovery of these stock is expected by 6 month time.